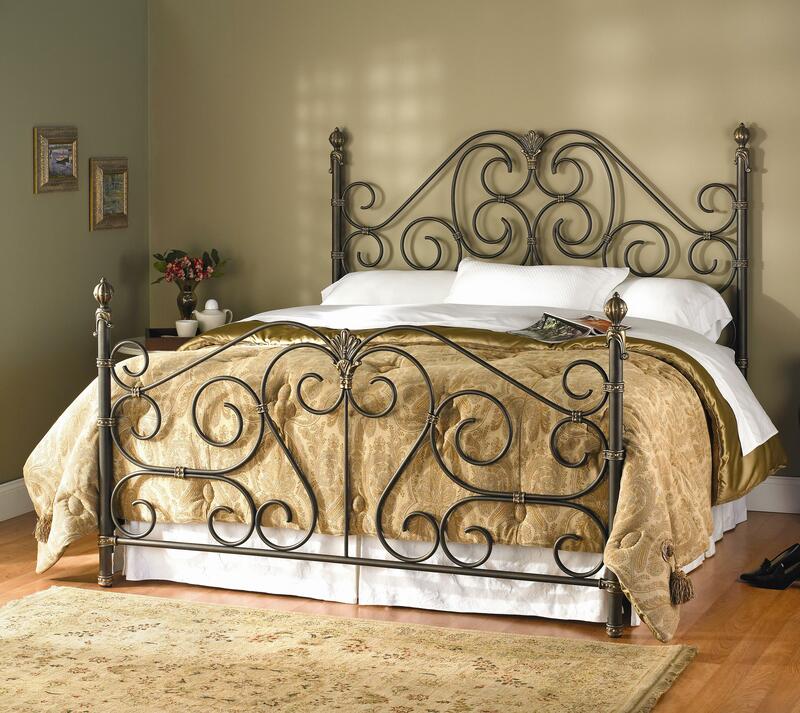 Flowing lines and curves blend with subtle French influences to create a bed of stunning symmetry and bold presence, while hand poured aluminum casts, applied custom finishes, and turned iron ensure your bed truly is one of a kind. Choose one of more than forty finishes to customize your bed to pre-existing furniture or to design your bedroom according to your personal specifications. This bed is available in queen, king, and California king sizes. The Aberdeen Queen Aberdeen Metal Headboard and Footboard Bed by Wesley Allen at Wayside Furniture in the Akron, Cleveland, Canton, Medina, Youngstown, Ohio area. Product availability may vary. Contact us for the most current availability on this product. Warranty Limited Warranty is offered on all beds. For over a quarter of a century Wesley Allen has graced the World's most elegant bedrooms with beds of exquisite architecture, craftsmanship and detail. Inspired by an eclectic mix of art and romance, Wesley Allen's Aberdeen CB130 Collection ensures a variety of textures being constructed from premium materials. 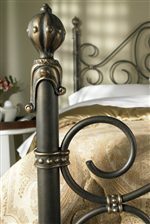 Flowing lines and curves blend with subtle French influences to create a bed of stunning symmetry and bold presence, while hand poured aluminum casts, applied custom finishes, and turned iron ensure that your bed truly is one of a kind. Further, heavy gauge iron and UniBody construction guarantee it will become an heirloom of any household. The Aberdeen collection is a great option if you are looking for Traditional furniture in the Akron, Cleveland, Canton, Medina, Youngstown, Ohio area.